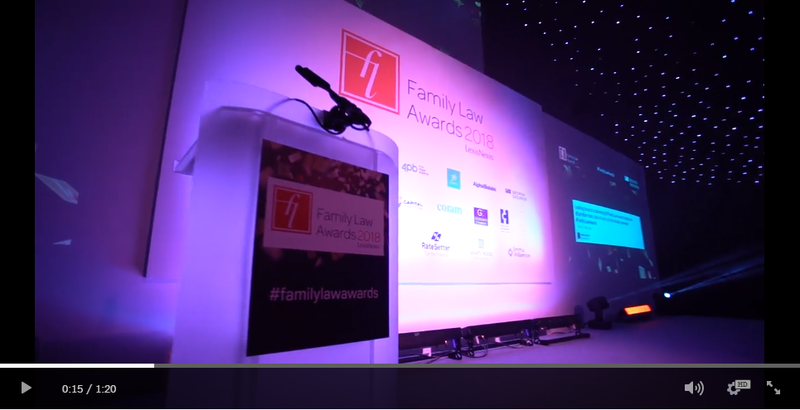 Sponsoring the Family Law Awards will allow you to position your organisation at the forefront of the legal market and will provide an excellent platform for you to raise your company’s profile in front of key industry participants and showcase your expertise and services to new clients. "We are proud to sponsor an awards ceremony that is judged by such a varied panel of well respected individuals. It's a fantastic evening and we are delighted to support it"
"It was an honour to sponsor the awards evening and celebrate with family law professionals. A well-organised event at a top class venue; a superb evening"
The Awards are attended by the senior managers of law firms, barristers’ chambers, local authorities and members of professional organisations. Don’t miss your chance to get your company’s profile in front of key industry participants and showcase your expertise.